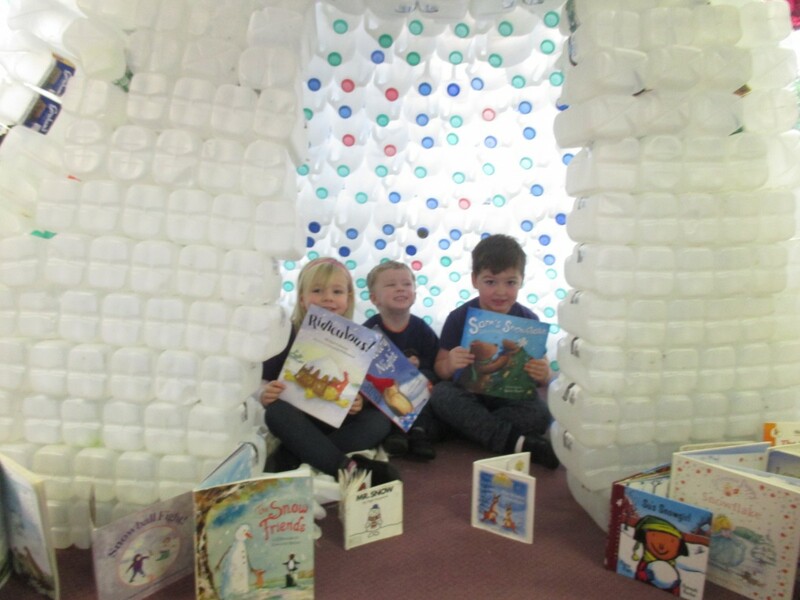 Taynuilt win Oban Library Reading Den Competition with an Igloo! Taynuilt Nursery children have created and designed their very own milk bottle igloo. We have been collecting the empty bottles from our snack each day for a whole year! We started the first layer in October and is looking like an igloo, ice castle, Santa’s grotto, an animal den……..the list is endless. Our recent topic – Caring and Helping our Environment gave the children a clear focus on how we can reduce, reuse and recycle every day objects! Our more recent topic was Storytime which led us into World Book Week and to a BookBug Session as our topic celebration, and now the children are using it for their library where Winter and Christmas stories are favourable. Feel free to visit our Igloo for a story anytime!